Room 18 is located on the second floor, with a southeastern exposure. It is in a very private area of just 4 rooms. 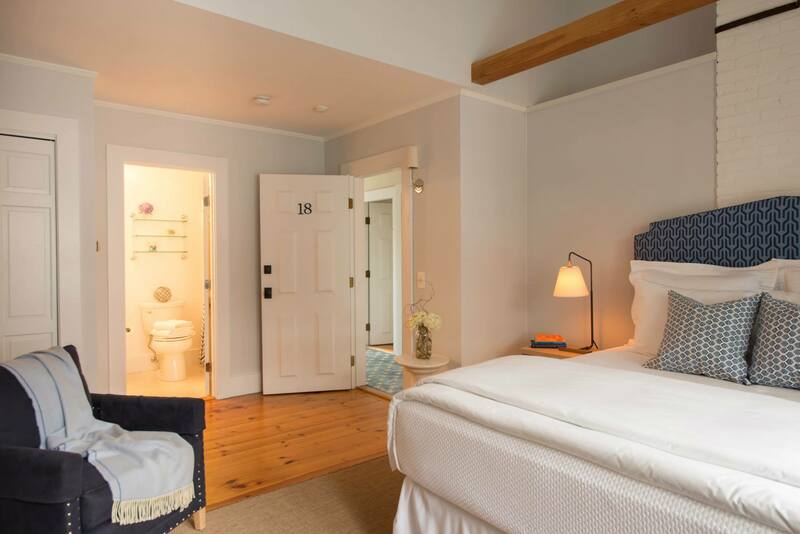 This beautiful room has a vaulted ceiling, Queen bed with 2 bedside night tables, wood burning fireplace (seasonal), 2 chairs, dresser, closet, and refrigerator. 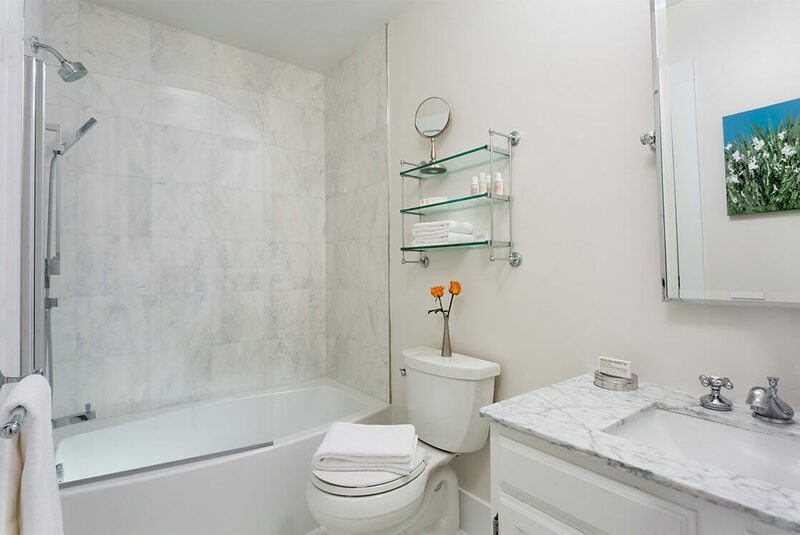 The room also features a brand new marble bathroom, including an oversize soaking tub with rain shower.